Each year the Noosa Food and Wine Festival serves up an appetising array of food, wine, live music and cooking demonstrations against the specular backdrop of one of the nation’s most picturesque destinations. It’s a mouthwatering four-day event that sees the country’s finest chefs in attendance with the nation’s best produce at their fingertips in celebration of the region’s enduring love affair with food. This year’s event promises to be bigger and better than ever before, encompassing the beachfront, the best local restaurants, celebrity chefs, fine wine, fabulous food and the upmarket ambience for which Noosa is renowned. Running from May 16 to May 19, the Noosa Food and Wine Festival is a foray into the finer things in life and attracts ardent food enthusiasts from across the nation. The annual event sees an entire pop-up village established in central Noosa dedicated to tastings, cooking demonstrations and food and wine-focused experiences. Meanwhile, the region’s renowned restaurants and most stunning natural locations play host to everything from beachside brunches to satiating lunches and carefully crafted dinners created by some of the country’s most acclaimed chefs. There’s a focus on local offerings and regional produce along with representation from some of the world’s biggest names in wine, beer and the culinary realm. 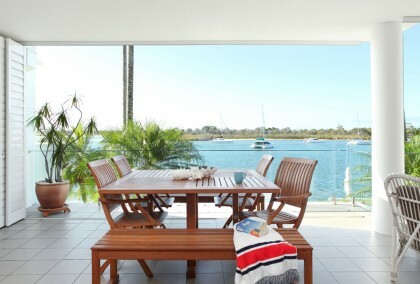 World famous Noosa Main Beach and a host of acclaimed local restaurants all feature sensational dining experiences across the four days. 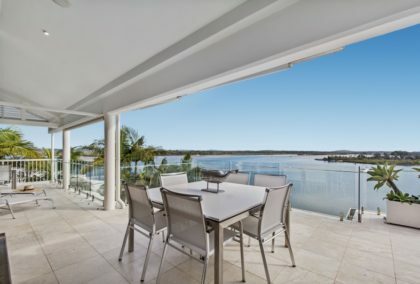 With the sand beneath your toes, the Pacific Ocean as a backdrop and the vibrant green of the Noosa National Park framing the view, Noosa Main Beach hosts a series of events, commencing with an opening party at sunset on May 16 and concluding with the popular Beach Sundowner event on May 19. As guests relax at the beach, the nation’s finest chefs and most famous winemakers will be hard at work, taking over the kitchens and wine cellars of some of the most well-known local restaurants to showcase their skills. Meanwhile, at Festival Village further, famous chefs will be offering an insight into their culinary expertise with demonstrations and cooking masterclasses. Big names at this year’s event include the likes of Neil Perry, Matt Golinski, Matt Preston, Adriano Zumbo, and many, many more. The Festival Village will offer a hub for most of the beer and wine tastings along with food experiences that see chefs and local food producers teaming up. Festival Village features a range of areas and experiences including a River Lounge, the Drinks Lounge and an exclusive VIP lounge. This year sees a new event feature in the line-up as Moet & Chandon celebrates their 150th anniversary. Known as Noir Noosa, the event will see Hastings Street transformed into a glamorous and theatrical celebration for a black-tie Gala Dinner spanning appetisers and a four-course menu. 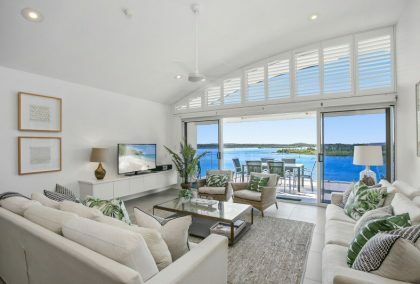 Located within walking distance of the Noosa Food and Wine Festival, Noosa Quays is a premium Noosa accommodation provider, offering deluxe apartments on the waterfront at Noosa Sound. 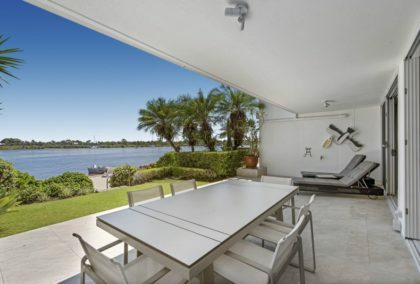 Within easy reach of Hastings Street, Noosa River, the Noosa beaches and all the dining and activities on offer, it’s a destination that’s centrally located and easily reached.